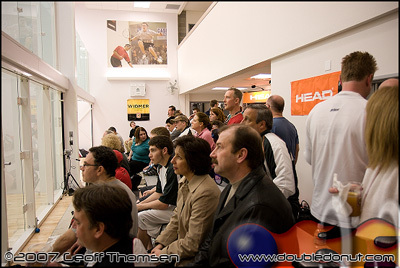 Sunset Athletic Club threw a little grand opening for their new racquetball court expansion this past Monday. 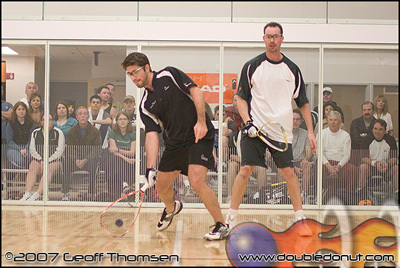 To help kick things off, top ranked racquetball professionals Shane Vanderson and Jason Thoerner stopped by for an exhibition match and “play the pro”. Even more exciting (IMHO), was the showing of my artwork on the walls of the expansion. The club took two of my shots, blew them up to ~8’x8′, and mounted them on the wall. I was REALLY impressed with what a 4MP camera is capable of! 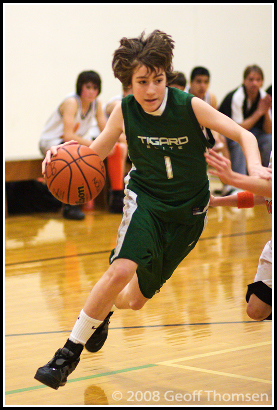 Perfect excuse to get away from the books this weekend, a trip out to Mollala to cheer on the Tigard 8th grade boys basketball team.� They went 5 for 27 in the first half (!! ), but turned it around late in the 4th period to win. 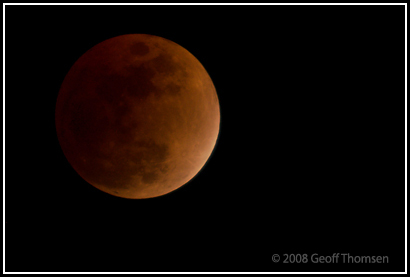 Had the treat of watching the lunar eclipse tonight. Almost missed it entirely as I assumed it’d occur much later in the night ..
You are currently browsing the flatchicken.com blog archives for February, 2008.